A grand tour of some of the most iconic parts of Scotland and the Borders Country, along with a trip to the spectacular cities of Edinburgh and Glasgow. Visit haunting abbeys, picturesque border towns with fascinating and blood stained histories, explore the mysteries and history of Scotland’s enchanting capital and lose yourself in the beautiful city of Glasgow. You are sure to enjoy this amazing trip, where country life meets city life in exciting ways! 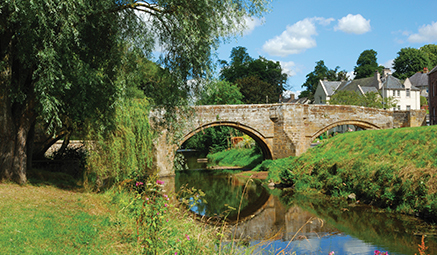 St Boswells, Jedburgh & Kelso - Full Day - exploring the dark history and ancient abbey towns of the Scottish Borders. First we travel to St Boswells, where the haunting Dryburgh Abbey sits (visit at your own expense), holding secrets of the wars of nobility in its ruins. We’ll then head to Jedburgh, with its breathtaking Abbey, Castle and Mary Queen of Scots Visitor Centre. Wander this award-winning town and learn the stories of historic political conflict. Finally we’ll head to the beautiful market town of Kelso, packed full of fascinating history and ancient sights. Edinburgh - Full Day - to Scotland’s capital, a hub of culture, stunning sights and fascinating history. Explore this vibrant city, with its iconic Castle perched high above its cobbled streets. 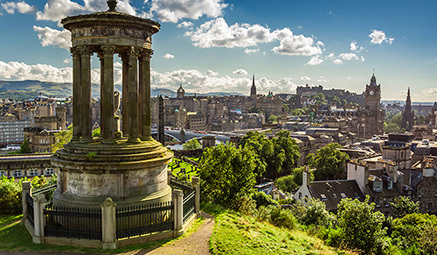 Wander along The Royal Mile running from Edinburgh Castle to Holyrood Palace, surrounded by grand buildings and world-class visitor attractions. Visit the fantastic National Museum of Scotland, the scary Mary Kings Close (at your own expense) or peruse the unique craft and gift shops, just to mention a few. 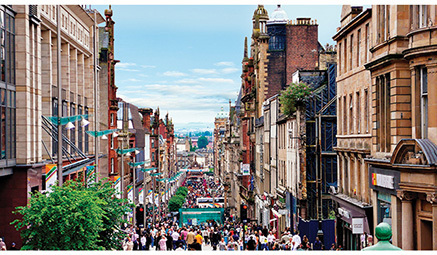 Glasgow - Full Day - full of fantastic museums, galleries and great shopping. Discover this dynamic and stylish city, with staggering architecture, unique masterpieces from designer Charles Rennie Mackintosh, fabulous shopping and friendly people. Visit its pleasant squares, wander its beautiful cathedral, or marvel at its Victorian architecture. For those wanting to visit the superb Riverside Transport Museum, the coach will take you down to the Clyde waterfront and return for you after time to explore.